In connection with this post, Pay Bills Online through BPI, here's another bank you can consider for the same purpose, BDO (Banco de Oro). 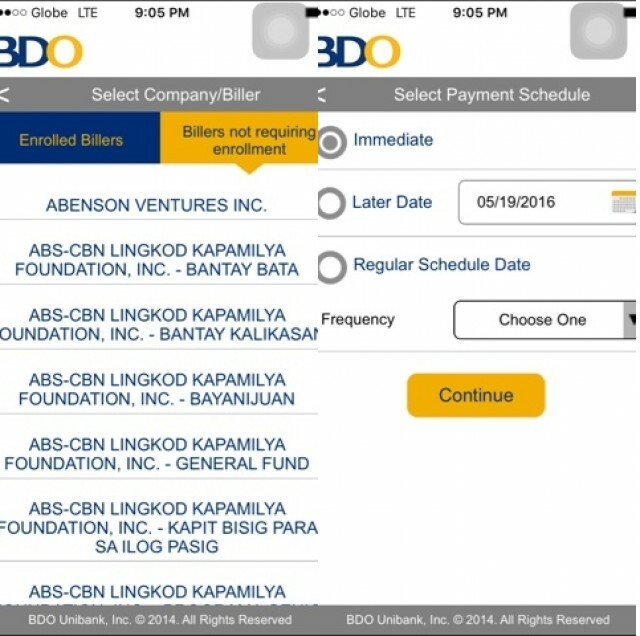 Unlike BPI, BDO allows an option to add the biller online. In order to add bills you'd like to pay online; first, access https://online.bdo.com.ph . You will be asked to login. If you don't have an account yet, follow the registration process. Scroll down the list of available bills from A to Z which you are allowed to enroll for this purpose. A warning message will popup. Just click OK. Complete the needed information on the next page. The usual data required include the Subscriber Name and Number. You can also type a Preferred Nickname to easily remember the biller. 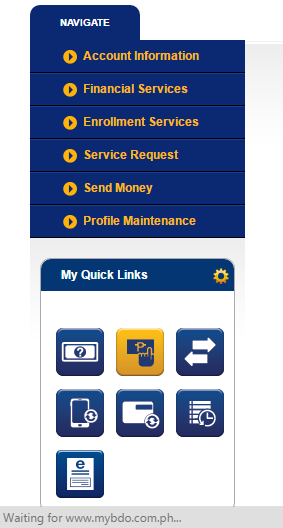 Channels for Enrollment is also available. I chose Online Banking for this post. There is a different process to be followed should you prefer other means to pay such as Automated Teller Machine. The Mobile Banking option is automatically allowed as soon as you download the BDO mobile app, authorize the app's usage through a validation sent via email and login using the same credentials used to login the web portal. Congratulations! You have now enrolled a bill for more convenient payment online through BDO. Once a biller is successfully enrolled, you can start paying for the bill online. This allows you to conveniently avoid visiting an office, bank or payment center; not to mention a long line of people. Payment can be processed anywhere you are with Internet connection. You can also pay during weekends and holidays. Do note, though, that payments will only be credited during business days although it is instantly posted on BDO's website. So take note of the bill's due date. Payments made through the web should be the exact amount as reflected on your billing statement. You can make a mistake of paying more because it will just be deducted on the next bill but you can never pay less than the specified amount because utilities and services may still become temporarily discontinued until the rest of the bill is paid. The bank, in this case, BDO will not be held liable for insufficient payment made. So on to the actual payment process. Once you're logged on to BDO Online, look for the Pay Bills menu. Menus are located on the lower left panel under My Quick Links. Pay Bills is highlighted on the image at the right. The next page will allow you to choose a biller from the list (as shown on the succeeding image). Those on top are list of enrolled bills while those below are other available options which you can enroll. Some doesn't require enrollment and can be paid right away. The Pay from tab allows you to choose an account, if you have saved more than one bank account on your BDO Online profile. Pay this Company Biller let's you select what to pay. Amount is of course for the money. Remarks is optional. 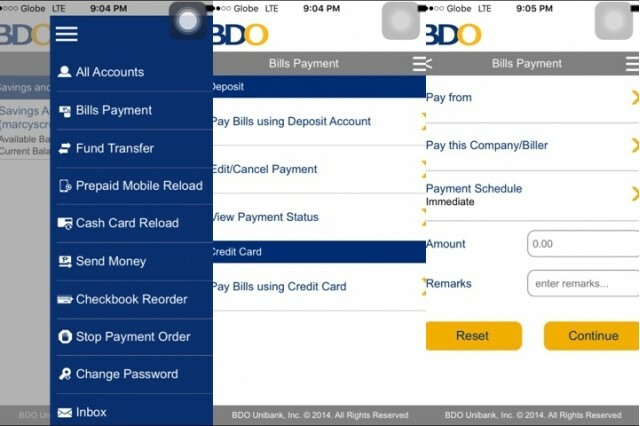 Aside from the website, you can also use the BDO mobile app to pay bills once the billers have been added. To use the app for bills payment, logon and click on the icon which looks like three parallel horizontal lines in order to reveal the menu. Bills Payment is the second on the list. The succeeding section will allow you the option to choose your payment method. Deposit Account can be either a Savings Account or Cash Card which have previously been added online. You can pay Enrolled Billers and even those which don't require enrollment. Payment Schedule can be Immediate or at a Later Date. You can also setup a Regular Schedule Date with a preferred frequency which can be daily, weekly or monthly. The latter is ideal for recurring payments with the same amount every time. The first menu (Deposit) is also where you can edit/cancel regular payments and view payment status. As for credit card payments, you also need to enroll the card first before you can use this method. If you have further questions, you may contact BDO through the options listed on this page, https://www.bdo.com.ph/mobile/contact-us.